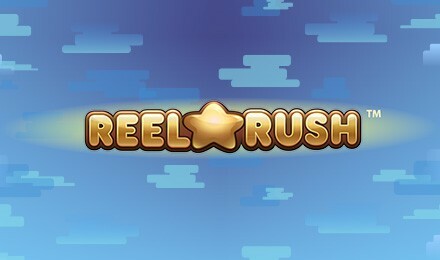 Play Reel Rush slots for a wicked 3,125 ways to win! You'll get loads of FREE Spins and a chance at winning 480,000 coins too! Play Reel Rush slots at Wicked Jackpots and feel the rush when you start winning big! This exciting online slot features 5 reels and an insane 3125 ways to win! top that off with Free spins, Wilds, and a chance to win 480,000 coins! Wicked!!! With every winning spin you land, you’ll get a free re-spin! Once you get 5 re-spins in a row you will be awarded an amazing 8 FREE Spins! Look out for the golden Wild symbol which will replace other symbols to help you win even more! Spin to WIN!